This past week, our 1/4 beef arrived. While I was arranging the freezers to make room for the beef, I found a package of turkey wings from the turkeys Rob grew before we moved. Clearly, it was time to use those wings! So, I put lemon and rosemary on them, a little water in the bottom, added salt and pepper, and cooked them in the crock pot for a few hours. We ate part of the meat. I made turkey enchiladas from the rest. I cooked a large crock pot of chili. We had it several times over the past few days. I also made another crock pot of refried beans. I froze most of those, except the ones the kids ate on tortillas several times, and the ones I put in the enchiladas. 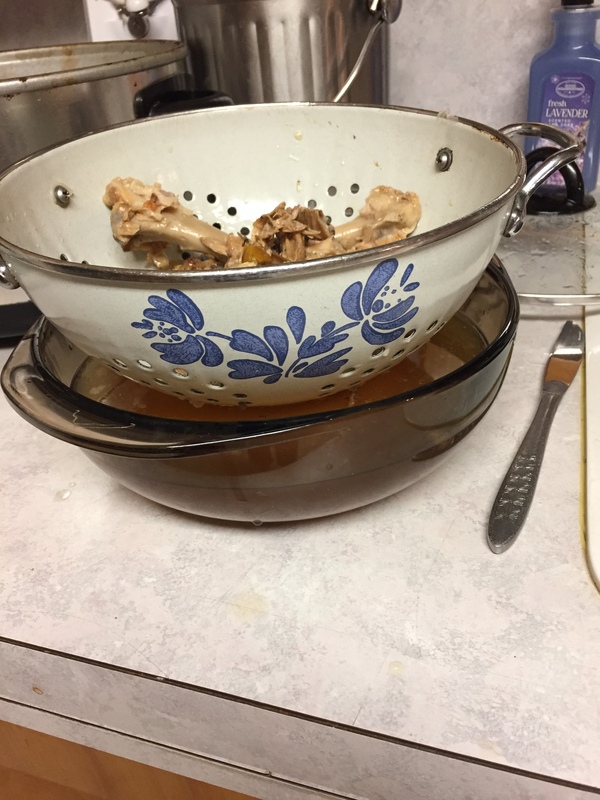 Then, I cooked the turkey wing bones in the crock pot all night with water and salt, and made broth. On Wednesday, when my mom came to lunch, the girls and I fed her turkey soup made from that broth, biscuits and cupcakes. The soup had a slight lemony flavor, which is not my normal flavor, but it was good. I just made a simple one with veggies and a little mixed grain. I used some tomatoes, a pepper and 1/2 onion to make Pico de Gallo. We ate it with some lime tortilla chips I got a while back. 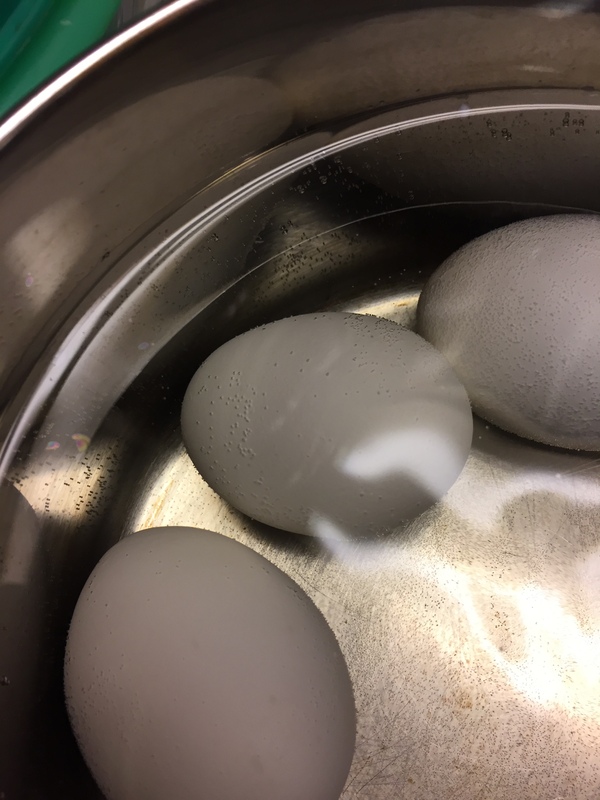 Patsy wanted to hard-boil some eggs, but did not know how. I taught her, she made a bunch, and enjoyed them for dinner tonight. Becky, it sounds like you are doing really well with your freezer and pantry being as full as they are! What a blessing! I am going to need to buy some bread and milk, this week, and maybe some fruit. That is really all I need. I bought a bit more than I expected this week, partly because there were some really great produce prices and I was able to stock up. For our meat, though, I really need to focus on what is in our freezer as well. Honestly I’d been doing well in that regard except I’ve had a craving for a pumpking chili that calls for ground turkey and so I finally picked up a package. 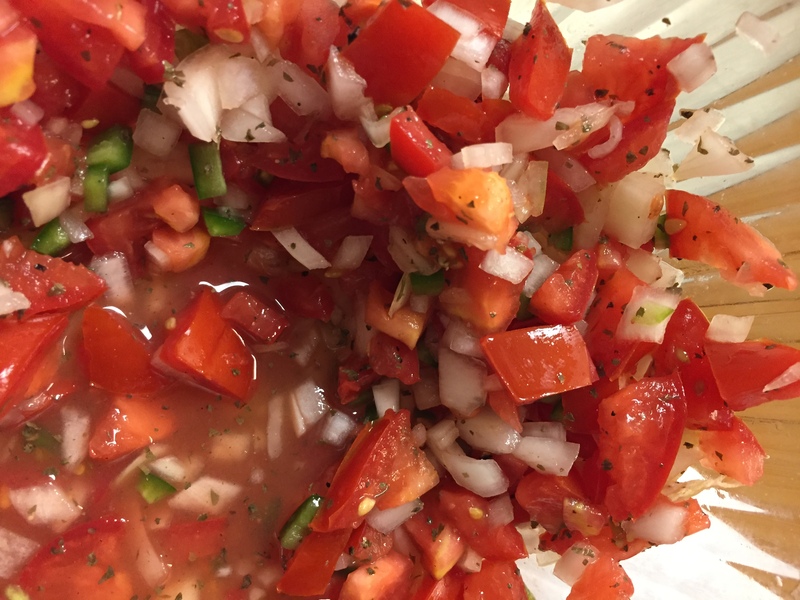 Your meals look and sound yummy — I love fresh pico de gallo! 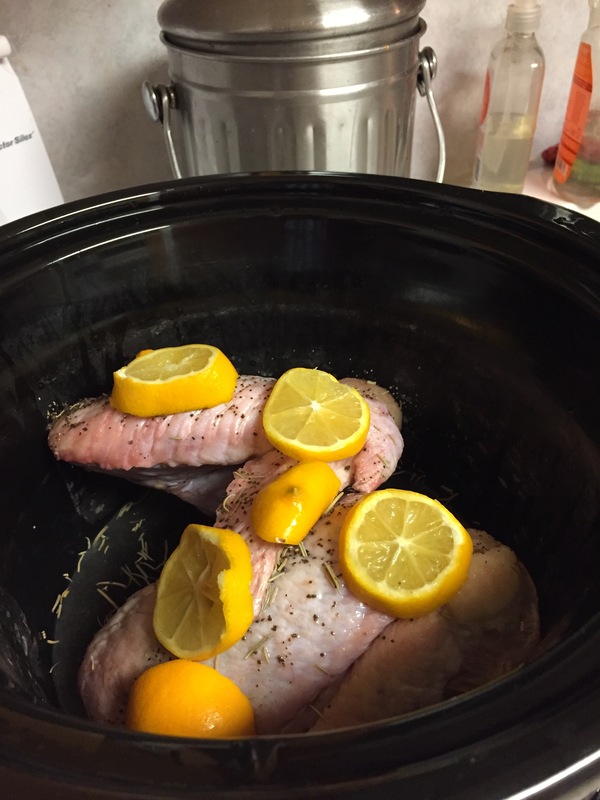 And I’ve never cooked turkey wings but I do really enjoy poultry seasoned with lemon and rosemary. I’ve never done much with turkey wings. However, smoked turkey wings are used as an alternative to fattier smoked pork by some people in my area. They use them to season beans, greens, etc. I’ve never raised a turkey. We have had chickens, geese, ducks, and rabbits though.